Calculators help people to do complicated and not-so-complicated mathematical problems every day. Texas Instruments is one of the leading calculator manufacturers in the United States. Its TI-30Xa is a scientific calculator that can be used for algebraic calculations. The TI-30Xa calculator is programed to follow the basic order of operations. Enter the first number then press the "+", "-", "x" or "/" (division), depending on the operation. Enter the next number and then the "=" to complete the operation. Because the TI-30Xa performs mathematical operations in the order of parenthesis, exponents, multiplication/division and addition/subtraction, you can enter an entire expression with multiple operations at once. Enter the number then press the "+/-" button to change the sign of the number from positive to negative. The "+/-" button is actually pictured as a "+" and "-" with two arrows creating a circle between them. Enter a "(" prior to entering an operation set - meaning a set of numbers and the operation(s) being performed - and a ")" after the operation set to indicate that the calculator should perform the enclosed operation(s) prior to performing any operations that follow. Again, this follows the order of operations. Enter the base number, then the "x^2" (x-squared) button to square the number entered. For a cubed number, enter the base number, then "2nd" and "x^3" (x-cubed). Enter the base number, then "y^x" (y-to-the-x-power) and the exponent number for any exponent other than 2 or 3. Enter the number inside a radical (the square root symbol) and then the square root button. 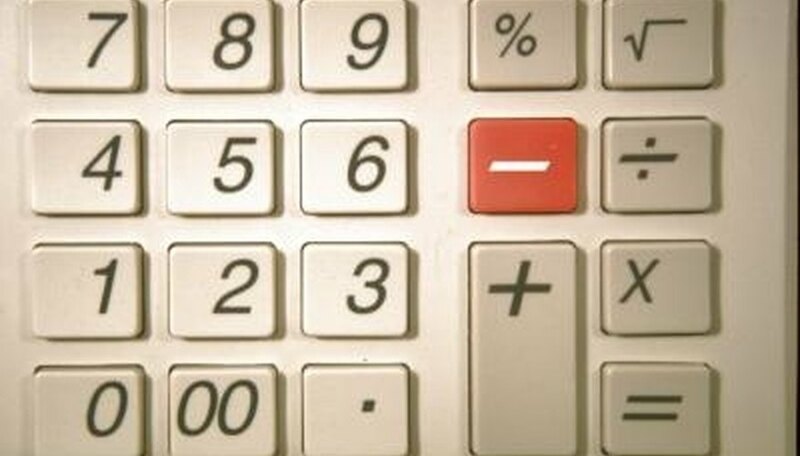 The square root button shows the square root of x. The cubed root of a number is found by entering the number inside the radical, then "2nd" and the cubed root button. The cubed root button looks like a square root symbol with a 3 on the outside and an x inside. Enter the number inside the radical, then "2nd" and the x-root button for any root other than the square (2) or cube (3). The x-root button looks like a square root symbol with an x on the outside and a y on the inside. Enter the log number then "LOG" to get the logarithm of the number. Enter the number and then "LN" for the natural log of a number. The TI-30Xa does not allow for logarithms with bases other than 10 or the natural number e.
Enter the exponent, "2nd" and "10^x" to calculate an exponential multiple of 10. Enter the exponent, "2nd" and "e^x" to calculate an exponential multiple of the natural number e.
"Texas Instruments, TI-30Xa/30Xa Solar Owners Manual," Texas Instruments Incorporated, 1997. Pamela Dorr began writing professionally in 2010. She's published several educational articles and tutorials on the University of Houston - Victoria Academic Center's website. Dorr is currently pursuing a Bachelor of Science in mathematics from the University of Houston - Victoria. Dorr, Pamela. "How to Do Algebra on a Ti-30Xa." Sciencing, https://sciencing.com/do-algebra-ti30xa-8737532.html. 25 April 2017.